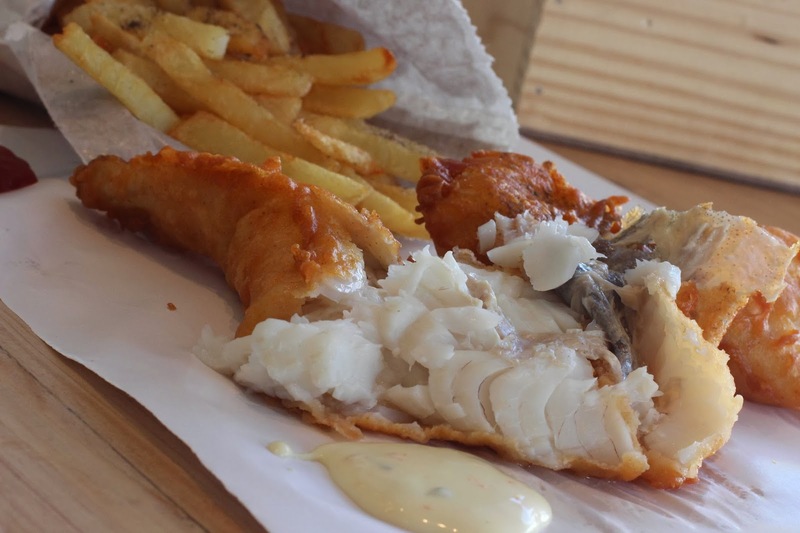 The Harbour House Group now has 2 gourmet Lucky Fish & Chips outlets in the Mother City: on Bree Street (opposite Clarke’s and diagonally opposite La Parada), and on 144 Long Street, bringing a taste of Kalk Bay into the CBD. 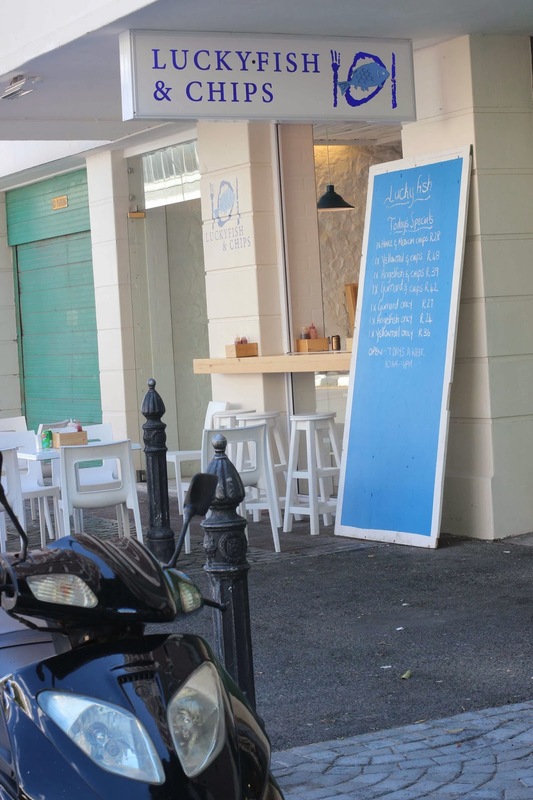 2 of the outlets, in Sea Point and on Long Street, are open at night and offer beer. 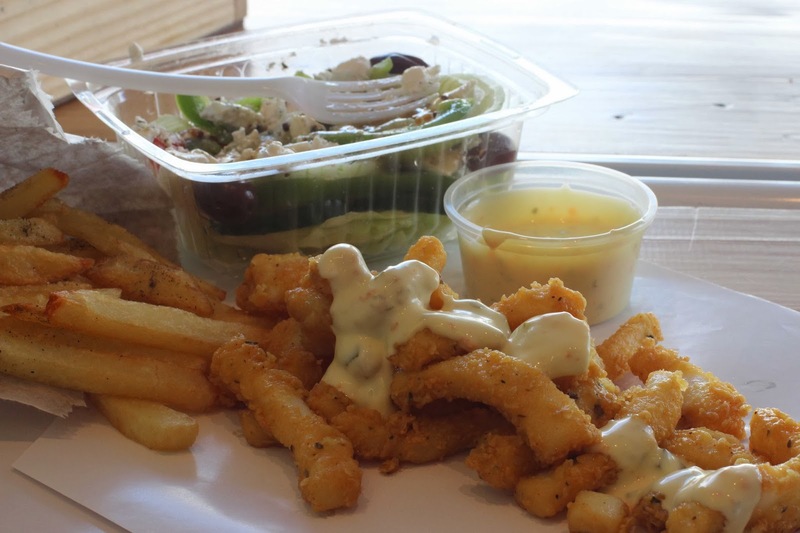 Lucky Fish offers delicious fish and chips (takeaway or sit down), has a stylish interior and serves fish (hake and yellowtail), calamari and prawns and trades seven days, 09am to 9pm. 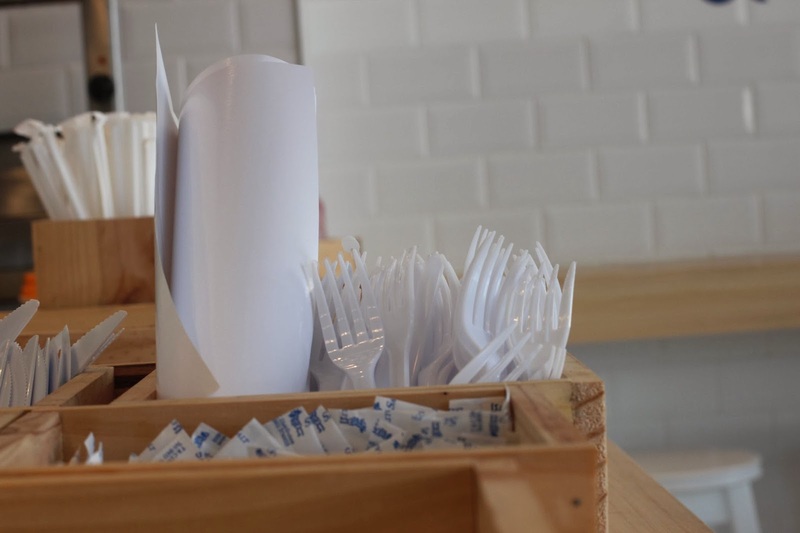 Like with all the Lucky Fish restaurants (there are now 5 including those in Kalk Bay and Muizenberg and one in Sea Point’s Regent Road) the vibe is casual and unpretentious…plastic knives and forks and bottles of tomato sauce and vinegar. 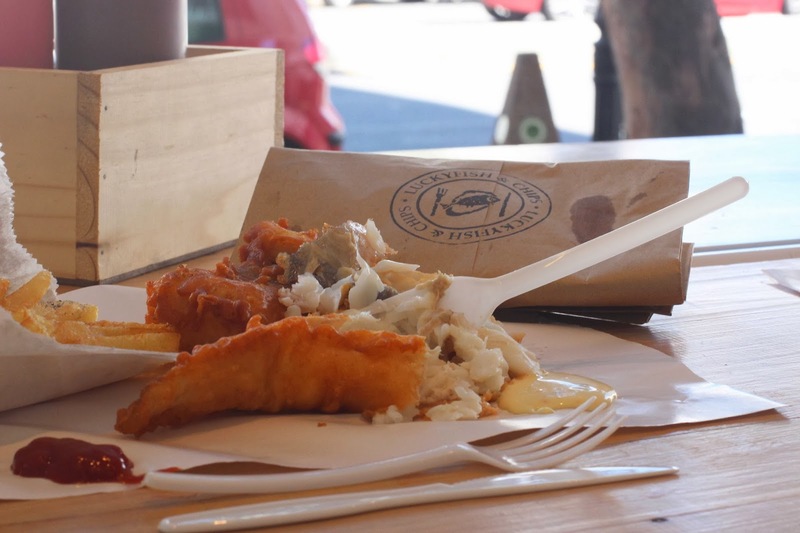 You can take away your grub in brown paper bags or enjoy your fish and chips in good old fashioned wax paper. 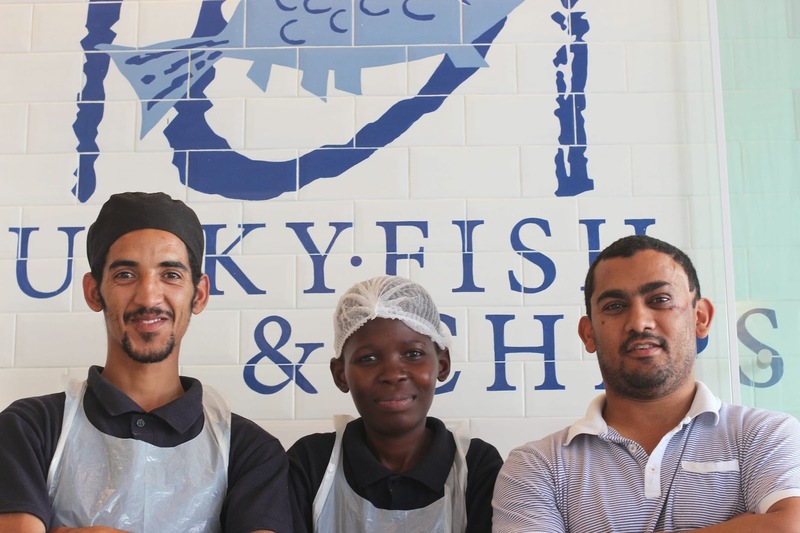 The first Lucky Fish sit down and takeaway restaurant opened in a quaint space under the famous Harbour House restaurant in Kalk Bay, right next the working harbour, in 2003. The second one opened in Muizenberg in 2012 in the trendy Empire Building, with stunning views overlooking the beach. 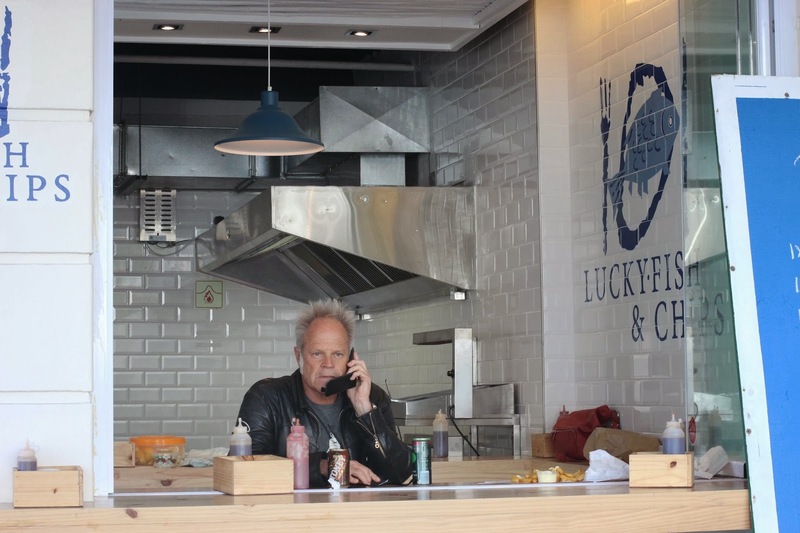 Lucky Fish on Bree and Long take in the hustle and bustle of everyday city life where the noise of seagulls has been replaced by the buzz and vibe on two of the most popular thoroughfares in town. 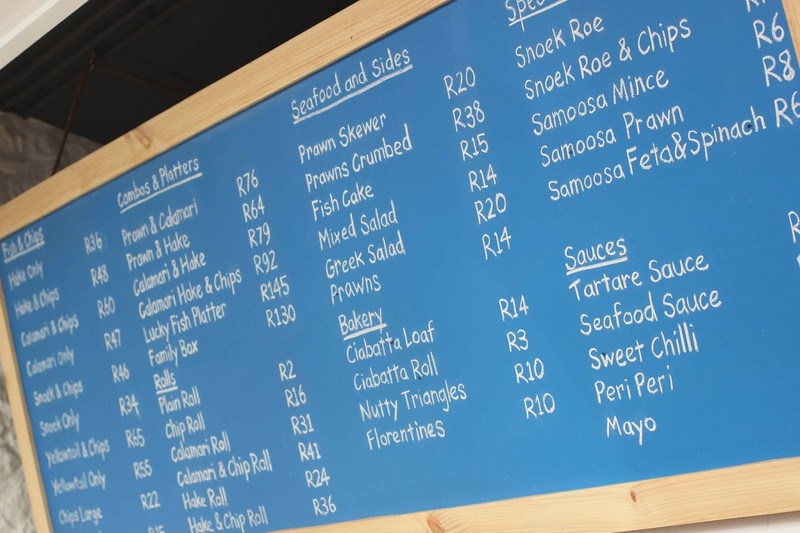 All the restaurants within the Harbour House Group are members of the South African Sustainable Seafood Initiative (SASSI). Not to be missed are the scrumptious prawn samosas. The chips are hand cut daily (never frozen); there are crusty Ciabatta rolls, and traditional delicacies like fried snoek roe that flag Lucky Fish as an authentic fishery. For your sweet tooth there are Florentines and nutty triangles that are baked fresh daily. Gonna go get me some fish and chips!